Pickleball, although you may think is a new game, has been around for decades. Pickleball was invented, in 1965, during the baby boomer generation, by two desperate dads, on Bainbridge Island, who wished to keep their kids entertained during the summer. The name “Pickle” is believed to have come from the family dog that used to run away with the errant balls. However, this theory has yet to be confirmed. The game was originally played on hard surfaces, such as, back yards, dead-end streets etc. However, by the 1970s, pickleball had grown and expanded from a mere family game, invented to entertain the kids, to a sport with formalized rules. The first pickleball tournament was held, in 1976, in Washington. The first rule book of pickleball was published, in 1984, and the USA Pickleball Association was also formed during this time. In 2003, pickleball was introduced at the Huntsman World Senior Games in Utah. Pickleball is a combination of tennis and badminton. However, this game has caught on with the seniors because there is less movement than tennis or badminton. Usually, a pickleball court has to be 20 x 44 feet and the game includes four players, two on either side of the net. However, the game can be played with two players too. The paddles are similar to those used when playing table tennis although they are slightly larger, about 8” wide by 15¾ inches. The ball is made out of plastic and is 3” in diameter and has holes round it. The ball is served underhanded from the left side of the court from the other side and it should bounce only one time before it is returned by the other player. The winning team must reach 11 points to win. Why is Pickleball Popular with the Seniors? Pickleball is extremely popular with the seniors because it is a game invented during the baby boomer generation, and many boomers grew up playing this game. The other reason pickleball is so popular in active adult communities is because of the perfect balance between high-impact sports, such as tennis and low-impact activities, such as shuffleboard. It is a game that enables active adults to get the right amount of exercise they need to stay healthy and active. Furthermore, pickleball is fun. It is fun for the players, as well as, the people watching it. 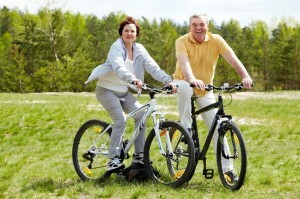 Many active adult communities ensure that pickleball is in the list of amenities provided. 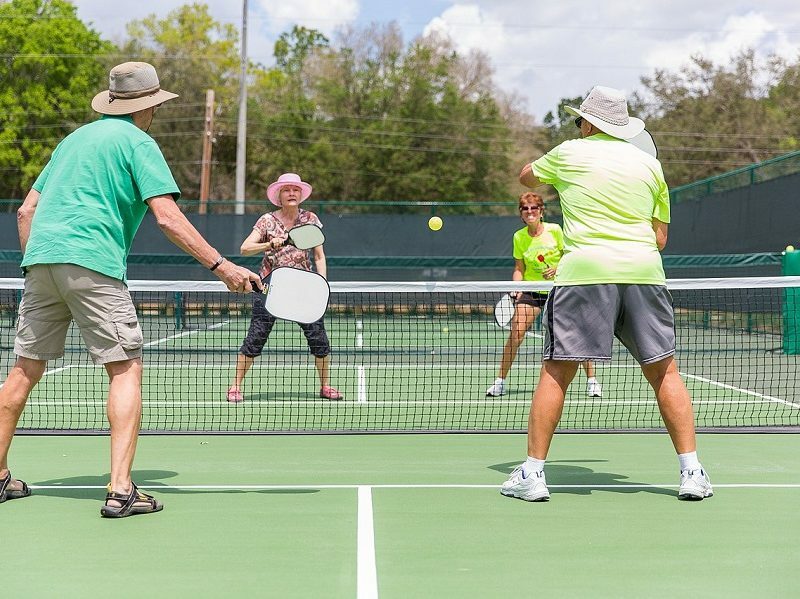 For example, you will find pickleball courts at CantaMia by Vitalia in Goodyear, AZ, Valencia Del Sol in Wimauma, FL and Cresswind Charleston in Summerville, SC, and many more communities. 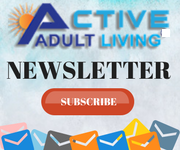 If you are interested in pickleball, and want to live in an active adult community that provides you this amenity among others, visit our website ActiveAdultLiving.com and avail yourself of many communities that provide you this facility.